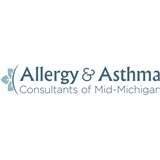 Allergy and Asthma Consultants of Mid-Michigan (Lansing) - Book Appointment Online! NEW PATIENT APPOINTMENTS-please schedule during the 8:40AM or 12:40AM time slots. Returning patients DO NOT USE 8:40AM or 12:40AM spots. Someone from our office will contact you to review personal information. Thanks. I have been her patient for several years. She listens very well and discusses options for treatment. I am very happy with her as my doctor, and drive 45 minutes to her office rather than see a local doctor who works in the same field of medicine.